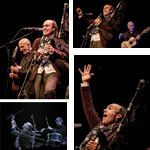 Carlos Núñez - SRO Artists, Inc.
Carlos Núñez comes from Galicia, the Celtic region in North West Spain. 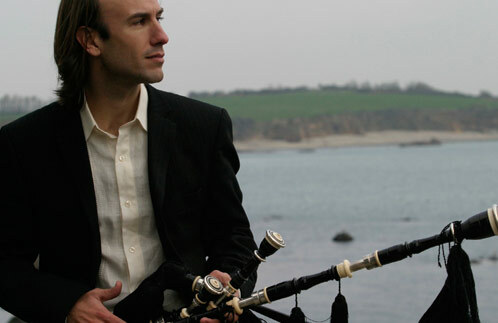 He is considered one of the preeminent artists on the World/Celtic Music scene, with the depth of a classical music virtuoso and the charisma of a rock star. 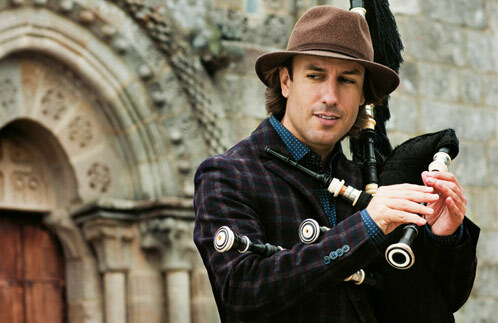 Carlos has expanded the borders of Celtic music to include Flamenco, Fado, Cuban, Mexican, Brazilian and Classical music, Movie Soundtracks, Contemporary Dance… As he describes it, he plays Celtic music with Latin passion. SONY MUSIC (formerly BMG) have released his 10 albums to date, that have sold 1 million copies since his debut in 1996, accumulating several Platinum and Gold CDs and DVDs, as well as 2 Latin Grammy nominations. 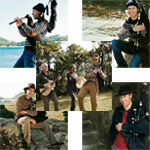 The album Santiago, for which he became honorary member ofThe Chieftains, got a Grammy in 1997. 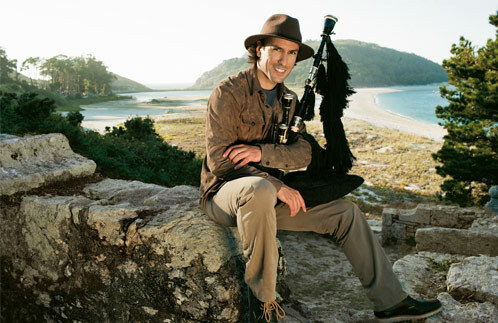 He performed hundreds of US shows in the early 90s, either with The Chieftains, or with his own band. Then for over a decade, he focused touring in Europe, Latin America and Japan, territories in which he is considered at the top of his genre, performing an average of 100 dates per year. Fall 2012 marked the release of Discover, his a greatest-hits, double CD collection on SONY MASTERWORKS, and includes some of his collaborations with artists like The Chieftains, Jackson Browne, Ry Cooder, and many more. Its’ popularity brought Carlos’s long-awaited return to North America. 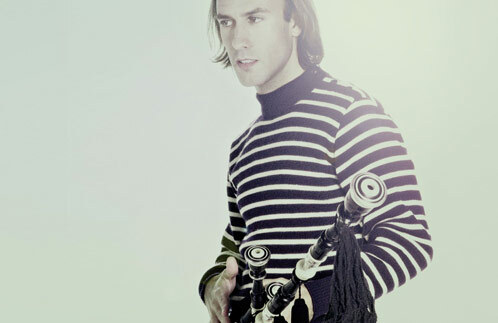 Major touring ensued Fall 2012 and again summer 2013 with new band line-up featuring his brother Xurxo on percussion, Pancho Alvarez on Brazilian viola, and fiddler/step-dancer Jon Pilatzke, whom he met while with The Chieftains. 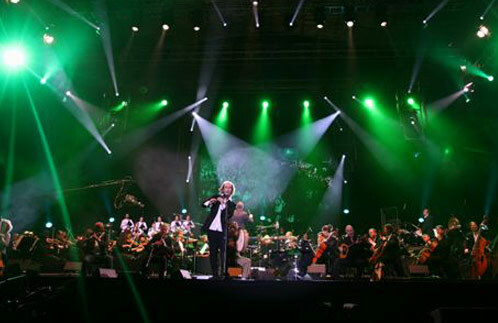 North American touring continues into 2018 in support of latest SONY release, Inter-Celtic (2014), that features music and artists from the different Celtic countries (such as The Chieftains or Altan from Ireland, Alan Stivell from Brittany), also music of Scottish pipers, as well as Ry Cooder. 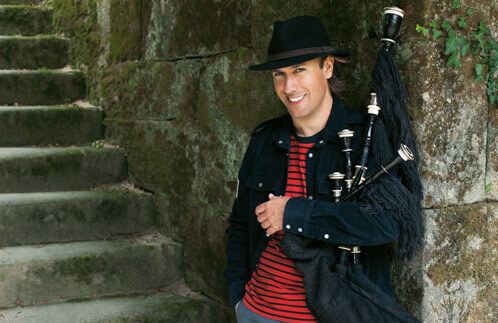 Carlos Nunez performing "Rupert's Mambo" with his band at Celtic Connections 2010. 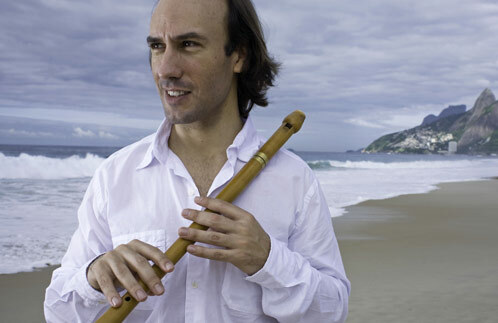 "Pasacorredoiras" from the 2007 DVD, Carlos Nunez y Amigos. 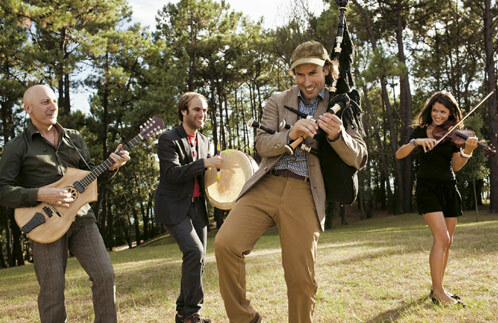 Acoustic quartet featuring Carlos Núñez (flutes, bagpipes), Xurxo Núñez (percussion), Pancho Álvarez (bouzouki/guitar), and a fiddler. Please contact your SRO Artist Representative if you are interested in outreach options with Carlos Nunez.